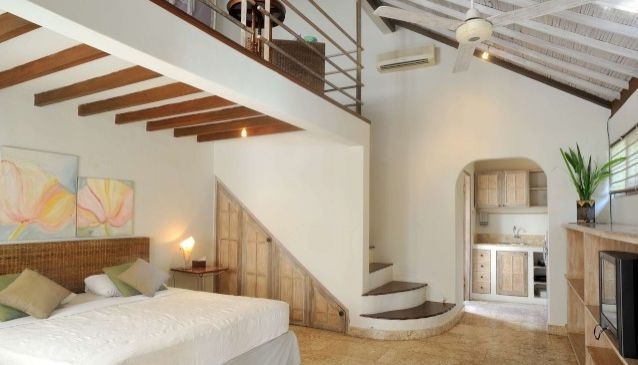 Villa Kresna's two locations in the ever popular Seminyak and within walking distance to the beach and from each other, Kresna Villas and Kresna Suites offer a combination of comfort and elegance in every room. World class restaurants, boutiques, galleries and bars are just some of the attractions within walking distance of Villa Kresna. Kresna Villas feature 6 units of one-bedroom villas sharing pool, 1 unit of one-bedroom private villas, 2 units of two-bedroom private villa and 1 uniquely designed superior room. Kresna Suites offers five - Deluxe rooms, seven-Junior Suite and one-Kresna suite, located serenely within a tropical garden courtyard with swimming pool. Kresna Suites boasts three types of suites. All are unique and designed with graceful contemporary design fused with rich Balinese traditions, luxurious modern comfort and tailored service, one organically shaped swimming pool.